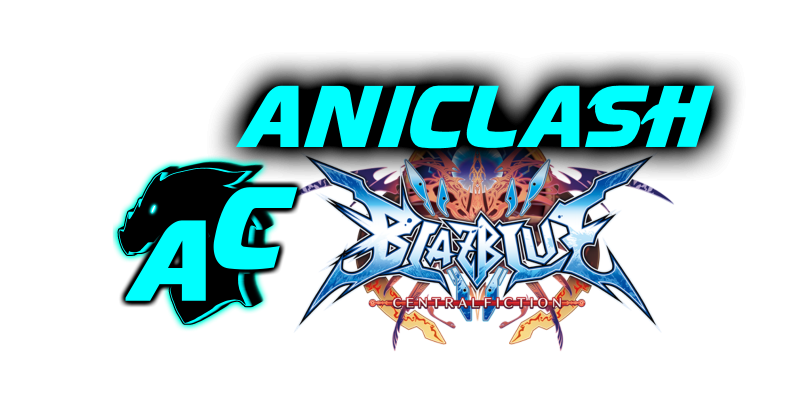 AniClash Blazblue CF action returns after a brief hiatus. Our first standard numbered event since January of this year. ** Unfortunately due to scheduling conflicts, AniClash won't be sticking to our previously posted tournament schedule. Check our discord for tournament announcements. Please note that it is imperative to arrive to the stream on time or early as check in actually begins prior to the stream going live. Once the stream is live, there will only be a few minutes left to check in. Stream located at our Official Twitch Channel; make sure you subscribe to that channel, our Official Youtube, Twitter, and our Discord to stay up to date with all things AniClash! Double Elimination. Bracket Matches are best of 3, Finals are best of 5. Accepted Stage Selections: The new and improved Lessons / Coliseum - Silent - / Altar / Cathedral - Silent - / Old Gate. If you select the wrong stage, you will be given a warning once, than an automatic loss of one game. Player DQ/Match loss due to inadequate network connection is up to the discretion of the individual TO on hand. Only the loser of the previous game in a set is allowed to switch characters before the next game in that set. If you are not on hand for your match due to being preoccupied with other tournaments at the time or failing to pay adequate attention to the stream/bracket, you are subject to an immediate loss of your designated match at the discretion of the TO. Bracket is not final until after 7:15 PM EST. Winner's Bracket will be played out until we're a few rounds deep depending on the size of the tournament, and then we will proceed to the Loser's Bracket. Depending on entrants, all matches in loser's may not be streamed. Attendance and punctuality is a necessity throughout the night. You have approximately 2-3 minutes to be present for your matches when they arrive, or you will be sent to loser's or DQ'ed. Keeping a keen eye on the chat--where the matchups will be posted--and listening to the stream--where they'll be announced--is strongly encouraged to avoid such penalties. Dualboxing on the same PSN account and PS3/4 is not tolerated. One player per console.